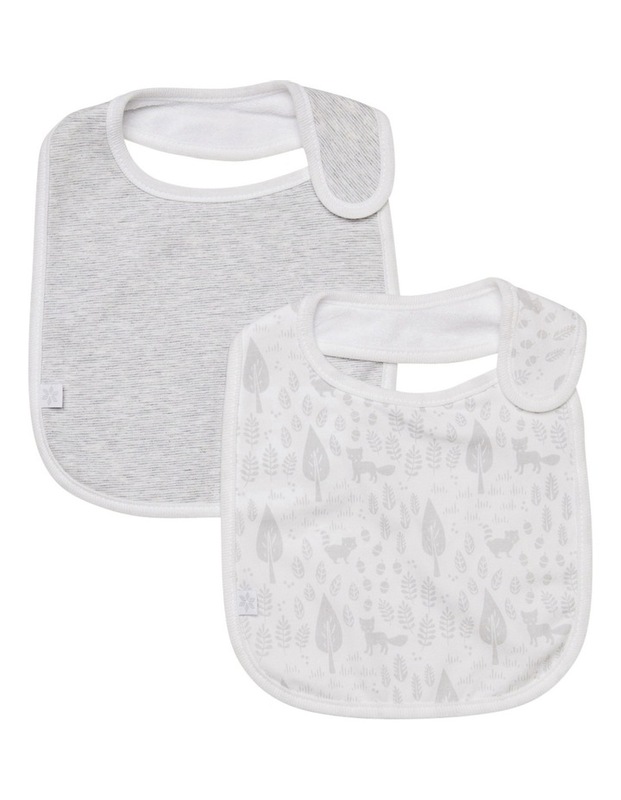 2pk unisex bibs. Great to pair up with any outfit. 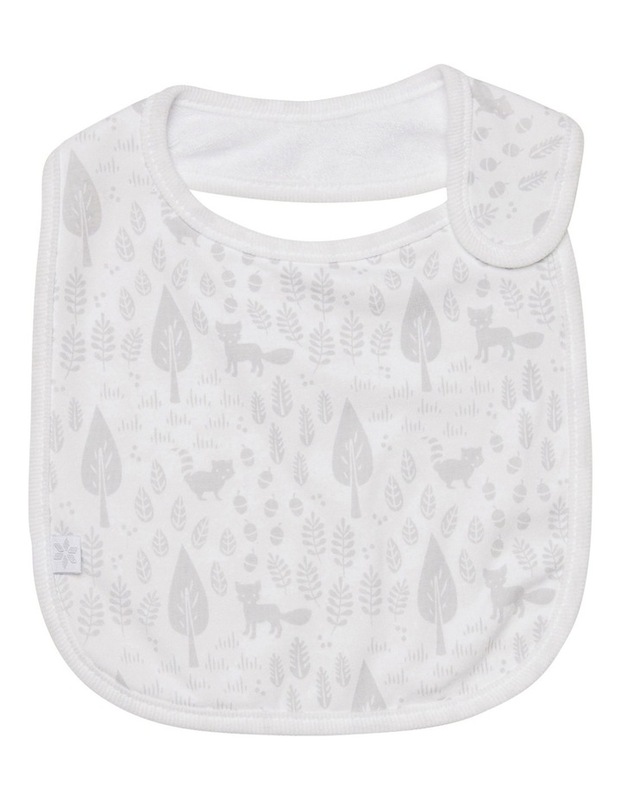 One come in an all over grey forest print. One is in a grey stripe. They are backed with towelling. The neck is fastened with valcro. 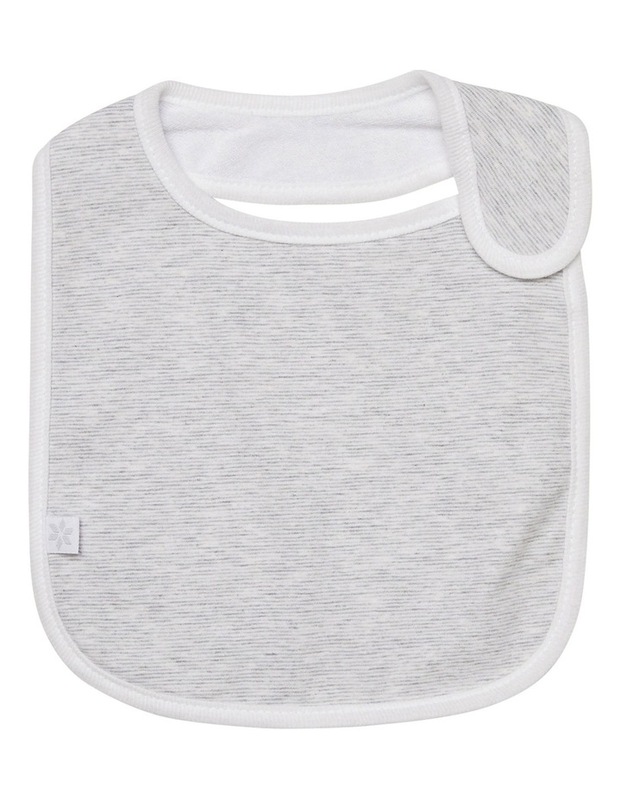 95%cotton/5%elastane. Machine washable.